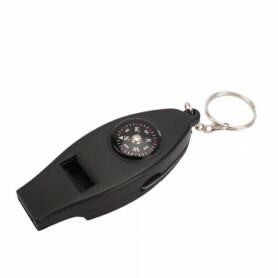 This is Survival Thermometer Compass Magnifier Camping Whistle with mini compass and thermometer on each size of the whistle. It´s made of high quality material. 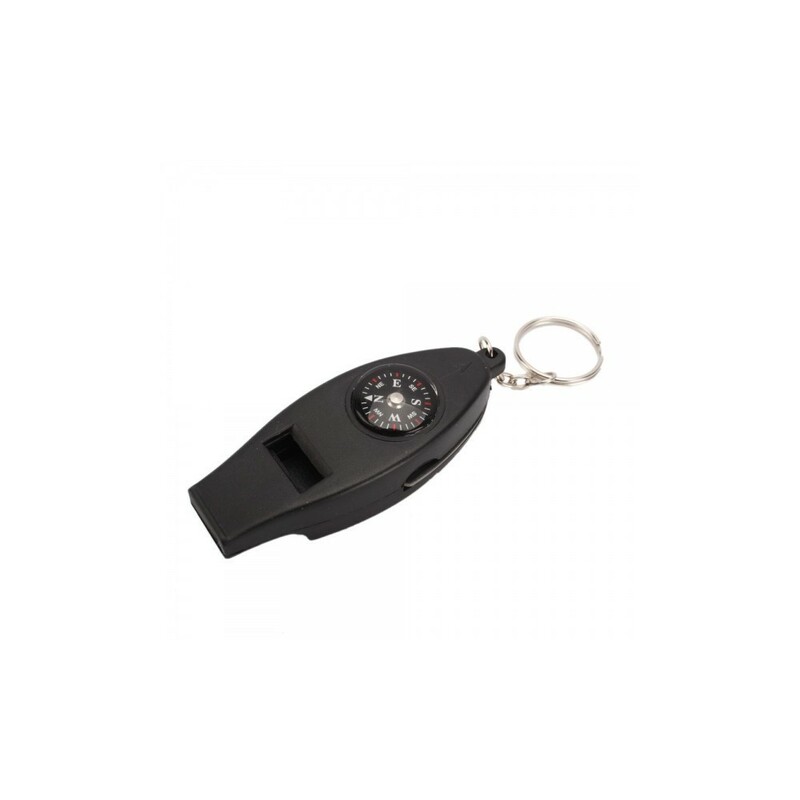 The compass is light weight and multipurpose, easy to use and carry.Your good choice!